Do you ever get that sinking feeling that you’re wasting your time? Since I started writing this guide, I’ve increased my productivity by around 340%. …But what good are those hours if you’re not managing tasks properly. This ebook will help you change all that and put you on the path to productivity. You’ll learn to make the most out of every hour of the day, and even have more time to relax. When you have a perfectly prioritized to-do list and finely productivity system, life’s easier. You just get to work, and finish knowing you’ve done everything you can. If you’re sick of hearing the same recycled ’10 tips to boost productivity’ over and over again, this guide is for you. Plus, you get a free bonus checklist that helps you start every Monday off perfectly! Ever feel like you’re just wasting time? You’re clicking around between tabs… Scrolling up and down the page… Sighing. It’s a bad feeling to know you’re at a loss and not making the most out of the day, whether it’s for work or for a more personal project. I wrote this guide because I know that feeling all too well… and while I was learning to get more productive, I collated all of my research in this ebook. 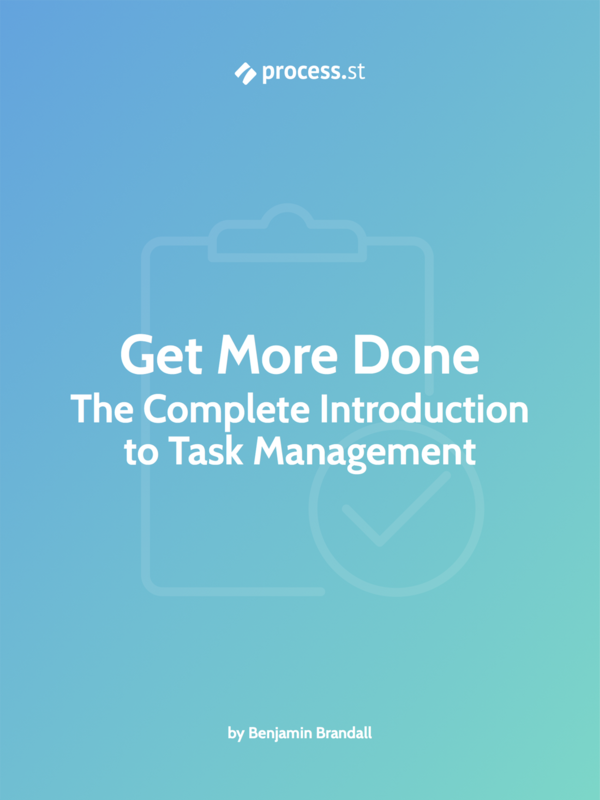 Whether you feel you have a system set up or not, this quick introduction to task management will give you more structure to your day while still allowing you enough flexibility to deal with work as it comes in.